Unpublished archival materials (tens of thousands), including handwritten books, correspondence, booklets, school records, financial records, telegrams, and more.Often an entry/item number contains a group of related documents: for example, a binder of student records from a single school. By opening that item, a user will be able to access PDFs of all the documents in the binder. 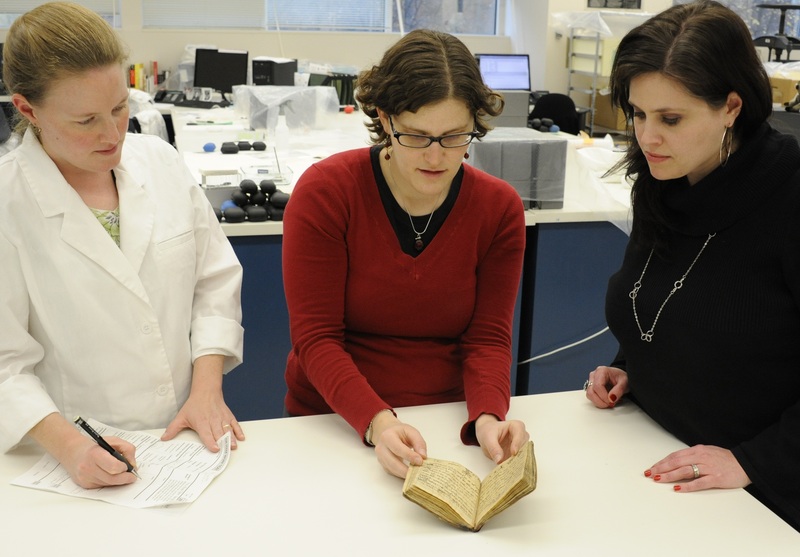 Learn more about the range of items in the Iraqi Jewish Archive. Searching the Iraqi Jewish Archive is much like searching an electronic library catalog. 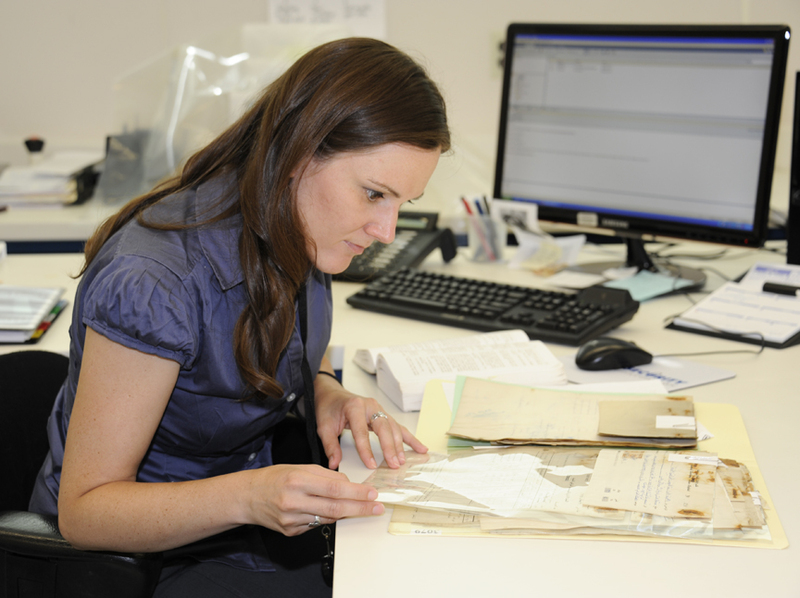 To craft searches that will bring up the material that interests you, whether school records, Baghdadi chief rabbis, or laws governing the Jewish community, it is important to understand what is in a cataloging record. Records for books include the most complete publication information available and may include the title in its original language and in transliteration, author, Hebrew and secular dates of publication, place of publication, and publisher. This is followed by a short, two-to-three-sentence description of the book and then a list of keywords. Documents similarly have a title, description, and keywords. The results of any search will be a title or descriptive title plus a brief cataloging entry and a picture. Click to see a more extensive description as well as keywords related to the entry and a PDF of the actual book or archival record (these PDFs can be viewed on an online e-reader or downloaded). Suppose you searched for “Frank Iny School”: you would find not only student records but also bills, correspondence, receipts, and class rosters. To narrow a search to just student records, try a new search on the keyword “students". The most common terms are included to facilitate searching. Transliteration follows the Library of Congress Rules of Romanization for Hebrew and for Arabic Alternate spellings for certain Hebrew and Arabic transliterations will continue to be added. If you are searching for particular personal names in the IJA records, the following tips will be helpful. There are several types of documents that have many names. Search school records and student rosters; the collection includes records from the Frank Iny School, the Shamash Secondary School, and other Jewish schools in Baghdad from the 1950s-1970s. There are some birth, marriage, divorce, and death certificate information. Try searching those terms as well. There are a few marriage record books. There are employment records from the different community organizations; using terms like “employee” and “worker” will help yield these results. The Hevrah Kadish, the burial society, has some burial plot and cemetery information. Terms like “Hevrah Kadish”, “Burial Society”, “Cemetery” may help bring up lists of names. Comments to help identify specific items and to share anecdotes and context related to the items are welcome through September 2014. Learn about our comments policy. Published books: Books are cataloged fully, but identifying information about these books varies depending on their condition. Where a title page is accessible, full publication information — title, author, publisher, place of publication, date of publication — is cataloged. Sometimes books were not whole but were found in sections, with little or no publication information; in these cases, descriptive titles were provided (for example, [Book of Genesis] or [Book Section – Prayer Book]) and the books cataloged to the extent possible. On occasion sections were matched using details of typesetting, page numbers, and content to assemble a more complete version of the work, which could then be identified and cataloged. All books that are rare and/or not available elsewhere are being photographed in their entirety. The high-resolution digital images of these books will all be available in the online database by June 1, 2014. For more in-depth information on the photography process, view the protocols for Imaging and the protocol on selection criteria for photography. Start and end dates, if available, e.g., a binder with documents over a range of years would include both start and end dates. When books or documents only have a single year listed, it will appear in both start and end dates. Descriptive titles for the materials, e.g., “Student Files, Baghdadi Jewish Schools” or “Correspondence, Budgets, and Financial Information from the Hevrah Kadishah.” For more in-depth information on the cataloging of books and archival materials, please review the cataloging protocol. Of the materials not related to the Jewish community, some are withheld because they may violate the privacy of an individual. Please read our statement regarding personal identifiable information. • Put any combination of words in the search box; for example, if you are looking for all laws regarding community owned property, enter “law” and “property” to find all cataloging records with both these words. Putting phrases in quotations (e.g., “Hebrew Prayer Book”) will yield only cataloging records where this exact phrase appears. • Use the filtering tool to refine your search by selecting: material type (book, archival, or other material), language (Arabic, English, French, Hebrew, Multiple Languages, Spanish), dates, high-level keywords (Baghdadi Jewish Community, Baghdadi Imprint, Correspondence, Hebrew Bible, Jewish Holidays, Jewish Law, Photograph, Prayer book, Rabbinic, School Material), and fully imaged items. • Please consult the Library of Congress Rules for Transliteration for both Hebrew and Arabic to learn how to search transliterated terms. • Search is available in Hebrew and Arabic for titles only. • Many Hebrew and Arabic words can be transliterated in multiple ways, for example, the Hebrew word for Sabbath is often transliterated “Shabbat” but in Library of Congress rules for Transliteration it is usually transliterated as “Shabat.” However, the software enables searches on multiple spellings, and you should be able to find items as long as you are using a common spelling. • If you remember the specific IJA item number from a previous search, use it as a search term.